Wilken have a dynamic team with a wealth of knowledge and experience. Employee participation in the day to day activities of the company is encouraged. This has led to the promotion of staff from within the company. All employees are encouraged to actively pursue best practices methods, fair trading, safety, quality control, co-ordination, co-operation and a team player approach. Wilken are committed to maintaining a skilled workforce that delivers a quality service and is in compliance of all industry standards and legislation. An apprentice training program has resulted in a large number of young employees successfully completing their training and advancing to responsible positions in the electrical trade and other industries. Garrie joined Wilken in 1986 as a Leading Hand and progressed to become joint owner and managing director of the Wilken Group in 1993 with partner Patrick Power. Garrie and Patrick have taken the company from strength to strength, with a current workforce of 90 employees and an impressive record of over 2000 completed projects. Garrie oversees Wilken’s Estimating Department and is responsible for the procurement of new projects for the company, along with creating and maintaining strong relationships with organisations and clients throughout the industry. He is also involved in all aspects of new projects thus assuring the client of a high quality and a professionally completed project. 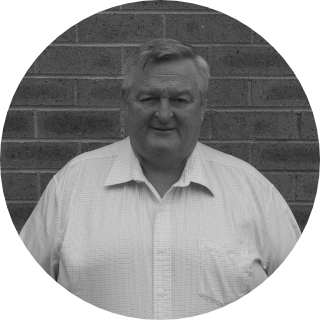 Garrie uses his 40 years experience to lead by example in the planning and day to day running of the company and ensures that WHS, Environmental, Quality Management systems and contractual issues are dealt with in a professional manner. Garrie’s experience spans over the domestic, commercial and industrial industries, including high-rise, government institutions, shopping centres, factories, civil works, medical facilities, high voltage works and substations. Patrick joined Wilken in 1985 as an apprentice electrician and progressed to become joint owner and director of the Wilken Group in 1993 with partner Garrie Chappelow. Patrick and Garrie have taken the company from strength to strength, with a current workforce of 90 employees and an impressive record of over 2000 completed projects. Patrick has a direct involvement and hands on approach to all Wilken projects and is responsible for overseeing site supervision, company assets, labour, plant and equipment. 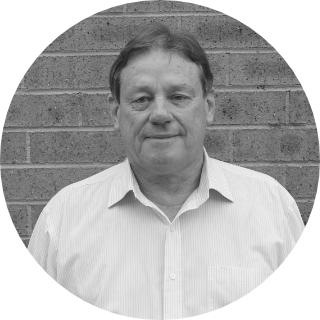 He uses his 34 years experience to lead by example in the strategic planning of day to day operations of all projects and to ensure that all WHS, Environmental, Quality Management systems and contractual issues are dealt with in a professional manner. Patrick’s experience spans over the domestic, commercial and industrial industries, including high-rise, government institutions, shopping centres, factories, civil works, medical facilities, high voltage works and substations. James has over a decade of experience in the electrical industry. He joined Wilken in 2011 as a licenced electrician, progressing to a supervisor in 2012. In 2014 James took on the role as electrical estimator and further progressing to senior estimator. James is responsible for Wilken’s estimating department, procuring future projects, maintaining and creating relationships within the industry. Simon joined Wilken in March 2006 as Level 1 crew member, progressing to crew team leader in 2007. In 2008 Simon was promoted to supervisor then in 2010 he was further promoted to Level 1 Construction Manager. Since 2010 Simon has managed all aspects of all Level 1 projects and oversees the Level 1 workforce which consist of over 35 employees. Simon liaises with clients and the supply authorities on a daily basis, organising, programming and planning Wilken projects. Simon is also responsible for ensuring Level 1 employees comply to WHS, Environmental systems, and supply authority requirements and standards. Simon’s many years of experience spans across the high voltage, substations and civil works industry.